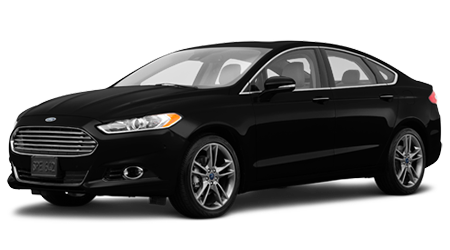 Already a reasonably priced and affordable vehicle, the stylish Ford Fusion really gives you the bang for your buck. If you’re looking for an even greater deal than be sure to take a look Woody Folsom Ford’s stock of used Fusions. Our Baxley, GA dealership serves Savannah, Valdosta, Brunswick, GA and Jacksonville, FL, so if you’re in the area be sure to stop by and take one for a test drive! When you take a look at the Ford Fusion’s EPA-estimated mpg on the various models you know you’ll be saving on gas. A 4-cylinder engine with automatic transmission is available for all years, and a manual transmission is available on models 2014 and earlier. General convenience features include air conditioning, remote keyless entry, tilt steering wheel, AM/FM/CD audio system with mp3 decoder, and power door mirrors. If you are looking for peace of mind when purchasing a used Ford Fusion than consider purchasing a Certified Pre-Owned (CPO) vehicle from Woody Folsom Ford. All CPO Fusions must pass a rigorous test in order to be able to carry that title, so you know you’re not getting just any used car. In order to be considered a CPO, a Fusion has to be 6 model years or less and must have fewer than 80,000 miles on the odometer. Next, our factory-trained technicians perform a 172-point inspection and produce a CARFAX report. If reconditioning is necessary, only Ford factory parts are used. With such a stringent process in place, you know that Ford has you covered. You may think that’s all, but there’s more! Certified Pre-Owned Ford Fusions also have a solid warranty that is backed by a 12-month/12,000-mile comprehensive limited warranty that covers over 500 components, and a 7-year/100,000-mile powertrain warranty that covers the engine, transmission, and more. You also have the option to upgrade to the Ford Extended Service Plan for even more coverage. There is $100 deductible on all warranty work done on the vehicle. Some extra benefits include 24-hour roadside assistance and three free months of Sirius XM satellite radio in equipped vehicles. Visit our Woody Folsom Ford Website where you can get pre-approved instantly! Simply fill out a secure online form and you’ll know right away what you qualify for. If, instead, you would like to estimate your credit score without a credit bureau inquiry, you can also fill out our Credit Score Estimator form. Worried about your credit score? Our finance team has worked with all types of customers including those with poor credit and no credit. If you’re in Savannah, Brunswick, or Valdosta, GA and looking to purchase a used Ford Fusion, don’t hesitate to head over to Woody Folsom Ford where our eager sales team is waiting assist you!